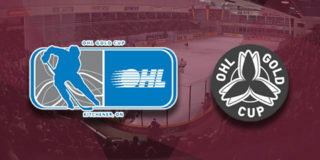 The Petes were at home for the final game of the pre-season, which just so happened to be against the team they’re scheduled to face come opening night on September 20. If the Liftlock Lads can repeat themselves next Thursday against the Kingston Frontenacs, then the home opener will be filled with excitement and a win as they defeated the east division rivals 5-4 in a shootout. The Frontenacs opened scoring as they exploited a delay of game penalty, taking swift command of the scoreboard. Paul Larabie fired past rookie goaltender Tye Austin, with assists going to Bryan Laureigh and Conor Ali, making the score 1-0 in favour of the visiting team. A power play several minutes later put the Petes on the scoreboard when Nick Robertson used the help of Brady Hinz and Adam Timleck to tie the game. The score would remain 1-1 until end of the opening frame. Although the score was held at one, Kingston led the first period in shots as each walked into their respective dressing rooms. The second period began with little aside from some jostling back and forth until Timleck snuck up on Brendan Bonello and gave the home team a 2-1 lead. 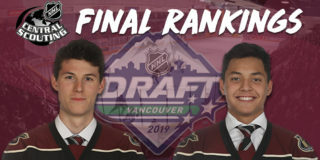 Robertson and Erik Cermak were both awarded assists. With the Petes in command of the shot clock, Kingston avenged their deficit as Tyler Burnie scored unassisted to tie the match up at 2-2. Period two came to an end with the Petes leading the shots 31-21 and the score once again, tied. The final twenty minutes were punctuated by an early Peterborough goal by Chad Denault from John Parker-Jones to give the hometown boys a one goal advantage just 44 seconds into the frame. Following Denault’s goal, the Petes solidified their lead 4-2 with a blast from Hinz, that was delivered to him by rookie Jake Partridge . With both teams down to four men due to penalties and Peterborough losing one more, the Frontenacs took advantage of the chaos. 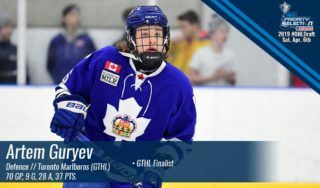 Ian Derungs took a feed from Jakob Brahaney and Jacob Murray up the ice and slipped the puck past Austin to bring Kingston within one goal as the clock hit single digits. As the final three minutes dropped, both teams were awarded two minute minors, leaving fans with more four on four hockey, until the clock ran out. Kingston would return the game to a tie when Ryan Cranford received a pass from Brett Neumann to knot the night at 4-4 and send the two teams into a shootout. 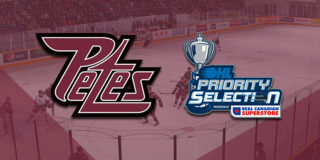 Robertson and Hinz would both put the puck into the mesh, finalizing the Petes’ final home exhibition game with a win. Final shots were 45-28 in favour of the home team as Peterborough took their final preseason match at the PMC by a score of 5-4. Nick Robertson was named the first star, Brady Hinz second, and Ian Derungs third while while Erik Cermak was named the team’s hardest working player of the game. 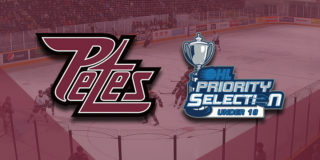 The Petes wrap up pre-season play with road games against the Barrie Colts on Saturday, September 15 at 7:30pm and the Oshawa Generals on Sunday, September 16 at 6:00pm in Port Perry, before opening the regular season against Kingston on Thursday, September 20. Tickets for Thursday and all other 2018-19 regular season games are available through the PMC Collins Barrow Box Office in person, online, or by phone at (705) 743-3561.